Ruby Red is a delightful romantic comedy with a good dose of a complex, unresolved time-travel mystery that can be enjoyed by a wide range of audience. Readers new to this series won't have to wait long for the sequel as it is expected to be released later this month. Description (from the publisher): Gwyneth Shepherd's sophisticated, beautiful cousin Charlotte has been prepared her entire life for traveling through time. But unexpectedly, it is Gwyneth, who in the middle of class takes a sudden spin to a different era! Review: Gwen is a contemporary English teen who lives in London with her mother's eccentric family. She has the girl next door flair to her along with a wonderful sense of humor. Gwen has always heard of the time traveling gene that her family possesses, but she really can't understand why her cousin Charlotte thinks having the gene is such a big deal. You see, Charlotte is the expected carrier of the family time-travel gene that has been passed along the female line in the girls' family since the 16th century and has trained her entire life for this one opportunity, but it never happens. Unexpectedly, Gwen experiences the symptoms of the time traveling gene in the middle of her class. Everyone including Gwen is surprised and utterly shocked when Gwen is not only the gene carrier but a very special time traveler. Gwen quickly realizes that her mother has fabricated her birth date in order to protect her from the Guardians, the old, powerful and dangerous secret society obsessively watching over the time travelers and protecting the chronograph, a device for negotiating time travel. To the Guardians, Gwen is not your ordinary time traveler but the Ruby, the crucial last link in their Circle of Twelve. To complicate matters more, Gideon, Gwen's handsome, insufferable and arrogant fellow time traveler in the male line, is the Diamond. Together Gwen and Gideon are expected to complete the Circle and solve an undefined mystery involving Count Saint-Germain, a malevolent time traveler from the 18th century, that is if they can work together without killing each other first. As she narrates her adventures, Gwen convincingly conveys her bewilderment, fear and excitement of a being an ordinary teen who is comfortable with her mundane routine and then suddenly finds herself transported and disorientated into an unknown past. Though she has absolutely no idea of what to do, she manages to think quickly and surprises everyone including Gideon who has her pegged as an inferior time traveler and doesn't waste an opportunity to let her know that. 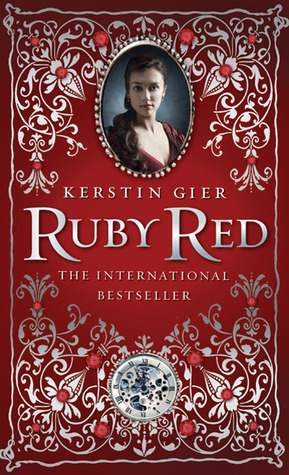 What I loved about Ruby Red is the attention to the historical setting from the fashion to the mannerisms, especially since the book is originally published in German and then translated into English. While reading the book, I had no idea it was a translated copy of the book. It seems as if the author did a great job with historical accuracy. Of course I have to mention the relationship between Gwen and Gideon. 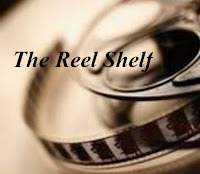 They both share the tensions found in a love/hate relationships that are common in most romance stories, but the romance doesn't instantly happen for these characters. Gwen and Gideon have to overcome their prejudices of one another to not only solve the mystery they are both assigned to, but also to show the various layers of their personalities. Their relationship grows slowly but realistically and while we don't have a full blown romance we can see it budding. With engaging characters, a chaste but sweet romance, and unique plot line involving time traveling, Ruby Red is a sure fire hit and would be a great selection for a vacation read. I really look forward to going on more journeys with Gwen and Gideon and to seeing how this mystery unravels. Words of Caution: None. This is a relatively clean book with a chaste budding romance. I would feel comfortable in giving this book to a very strong Grade 5th reader. I keep hearing good things about this book. I checked it out from the library once but didn't have time to read it. I still want to. I love this series! Gwen is one of my most favorite characters ever as her personality is just awesome! I think I liked the second book even better! I'm so glad you loved this! I can't think of when the last time I read a time travel book and this sounds awesome. I love an antagonistic slow budding romance and I really want to check it out and see how a German book translates over! So glad you enjoyed it! YAY RUMMANAH! I'm so glad you enjoyed this one too! I thoroughly enjoy this series, though I do recommend picking up Sapphire Blue fairly soon if you have plans to read it, as I had a hard time recalling the details of Ruby Red and was a bit lost in the beginning as a result. Can't wait to see what you think of it! I liked this one but I found the overall mystery a bit overwhelming. Gwen's voice though was something I enjoyed too.